While life insurance plans are mainly intended for providing financial security for dependents, there are many types of life covers that combine the benefit of both insurance and investment. Investment-oriented life insurance plans are now offered by almost all the insurance companies in the country. 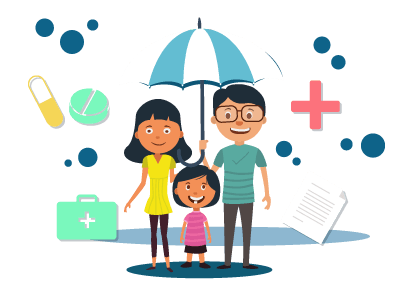 Aditya Birla Sun Life Insurance is one such private life insurance company that offers an array of life insurance plans for its customers. For most of the plans in the company’s lineup, it is possible to get the premium quote only by setting up a meeting with a financial advisor. For certain plans, it is possible to calculate the premium automatically with the help of a premium calculator. Let’s take a look at it more in detail. Planning one’s finances takes a lot of effort. People who engage in proactive financial planning often plan their investments well ahead and stick to a specific schedule. Investment-oriented life insurance policies are used to achieve a specific investment goal. Hence, it is necessary to know the maturity value of a policy beforehand. Premium calculators help investors by enabling them to understand how much they have to invest in order to achieve a specific investment goal. Through this way, customers can allocate sufficient funds for their investments and maintain a proper investment schedule based on their income. As noted earlier, the company offers premium calculators only for certain policies in its lineup. These policies can be bought online by customers. For other policies, it is necessary to set up a meeting with a financial advisor to get a premium quote and make the purchase. Let’s take a look at how the premium calculators can be accessed for plans that provide them. On the homepage, click on the type of plan you wish to buy. If there is a ‘buy online’ button near the plan name, it has a premium calculator page. Other pages do not have this feature. Click on the ‘buy online’ button to open the premium calculator page. On this page, enter your name, gender, date of birth, desired sum assured amount, email ID, phone number, etc., to get the premium quote instantly. If the premium amount is satisfactory, you may go ahead with the purchase through the online mode. Life insurance premium calculators are helpful for customers if they wish to come up with an investment plan. By planning their finances, customers can achieve their specific investment goals. These tools are effective in planning for one’s children’s higher education or marriage, saving money for a new home, etc. With the help of premium calculators, customers can compare the different types of plans available in the market and choose the best ones that meet their requirements. Since the market is flooded with life insurance covers from various insurers, premium calculators will be effective in helping customers narrow down their investment options. Premium calculators can be used by customers to improve their product knowledge. They can understand the factors that influence the cost of a policy and make their decision accordingly. Companies offer premium calculators mainly to serve a wide customer base across the country. Customers can visit the website directly and check the cost of their investments. Hence, companies do not have to go through the trouble of responding to every single customer query. While term plans are purely intended for protection, investment-oriented life insurance plans offer a combination of both protection and investment benefits. With the right insurance coverage, customers can protect their investments and achieve their specific investment goals. Premium calculators assist them in making this decision and help them with planning their finances effectively.